The Xi PowerGo XT delivered desktop performance. Image courtesy of @Xi. 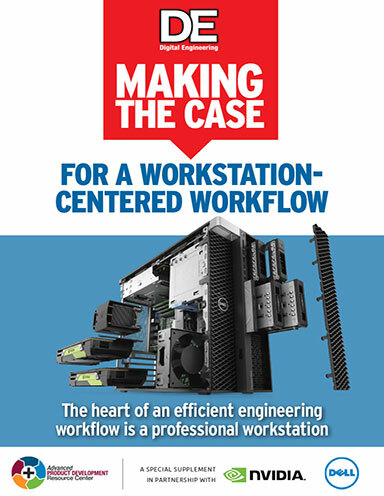 While we recently reviewed the latest tower workstation from @Xi Computer Corporation (see DE October 2018), it has been more than two years since we last looked at one of the California-based company’s mobile workstation (see DE November 2016). As was true of the Xi MTower workstation, the Xi PowerGo XT mobile workstation retains the same name as the system we reviewed in 2016. But this latest Xi PowerGo XT is all new, from its large chassis (manufactured by MSI) to its Intel Core i7-8086K Limited Anniversary Edition CPU. 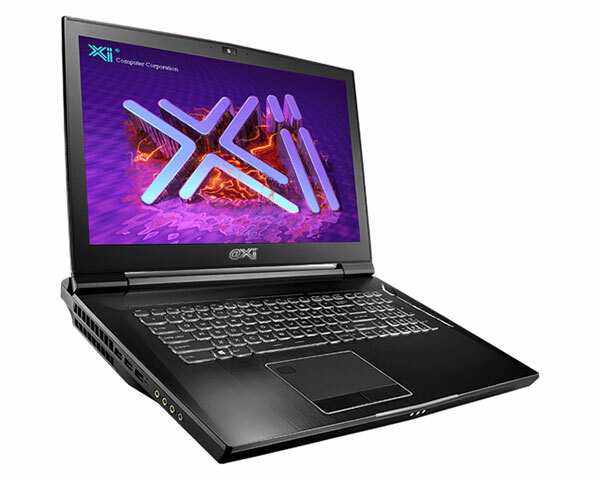 Xi PowerGo XT is actually the name @Xi assigns to its top-of-the-line mobile workstations. In fact, the company offers PowerGo XT systems in both 15.6-inch and 17.3-inch configurations, with screens providing either 1920x1080 HD or 3820x2160 QFHD resolutions. The advertised base price of $1,799 is for the smaller version with an HD display, a 2.8GHz Intel Core i5-8400 6-core CPU, 8GB of 2400MHz RAM, an NVIDIA GeForce GTX 1060 graphics board, a 500GB 5400rpm SATA hard drive, and Windows 10 Home 64-bit. The system we received was a 17.3-inch system housed in a sculpted charcoal gray case, which measured 16.85 x 12.3 x 2 inches and weighed 8 pounds. Its huge 330-watt power supply (7.87 x 3.87 x 1.62 inches) added another 2.75 pounds, bringing the total system weight to just under 11 pounds. Raising the lid revealed the display as well as an excellent 102-key backlit keyboard and numeric keypad. A 4.25 x 2.5 gesture-enabled touchpad with a pair of buttons and fingerprint reader are centered below the spacebar. Centered above the display is a 2-megapixel webcam and microphone array. There are also a pair of speakers for the integrated audio plus a subwoofer. A V-shaped power button is located in the upper-right corner above the numeric keypad and glows when the system is powered up. Four additional buttons below this let you switch between the discrete and integrated graphics, increase the fan speed, and launch pre-defined programs. Small LEDs light up to indicate caps lock and number lock. The right side of the case offers a pair of USB 3.1 ports, a smartcard reader, a card reader, a security lock slot, and a large ventilator grille. The left side provides a similar air vent as well as three additional USB 3.1 ports and four audio jacks: line-in, line-out, microphone, and headphone (which also doubles as an S/PDIF connector). The rear panel includes an RJ-45 network connector, a Thunderbolt (Type-C) port (that supports USB 3.1, PCIe, HDMI, DisplayPort, 4K monitor output, and portable charging when AC power is connected), a power connector, a mini-DisplayPort, an HDMI port, and two more large air vents. There are also lots more air vents on the bottom of the case. Three LEDs along the front edge of the system indicate when Wi-Fi is enabled, battery status, and hard drive activity. Despite its size, there is no provision for an optical drive (@Xi sells optional external DVD and Blu-ray drives) and the battery is not user-accessible. @Xi offers five CPU options, all of them 8th generation 6-core “Coffee Lake” processors. Our evaluation unit came with the aforementioned Intel Core i7-8086K, a 4.0GHz CPU with a 12MB cache, a maximum turbo frequency of 5.0GHz, and a thermal design power (TDP) rating of 95 watts. This processor, which also includes Intel UHD Graphics 630, added $349 to the base price. Although the base unit comes with 8GB of DDR4 memory, you can configure your Xi PowerGo XT with up to 64GB of RAM. Our evaluation unit came with 32GB of 2400MHz memory, installed as a pair of 204-pin SO-DIMMs, adding $385. Memory with speeds of 2666MHz is also available. All versions of the Xi PowerGo XT include an NVIDIA discrete graphics card, but you have a choice between GeForce and Quadro. All three of the Pascal-based Quadro GPUs are VR-ready. The system we received included an NVIDIA Quadro P4200, with 2304 CUDA cores and 8GB of dedicated GDDR5 memory, increasing the system cost by $1,399. You could also opt for a P3200 ($599) or go with the high-end Quadro P5200 GPU, which would add $2,549. As previously noted, our evaluation unit came with a 17.3-inch 1920x1080 display. @Xi offers several choices. The panel included in our system featured a 120Hz refresh and 94% NTSC color gamut, adding $109. A 3820x2160 display is also available for $339. 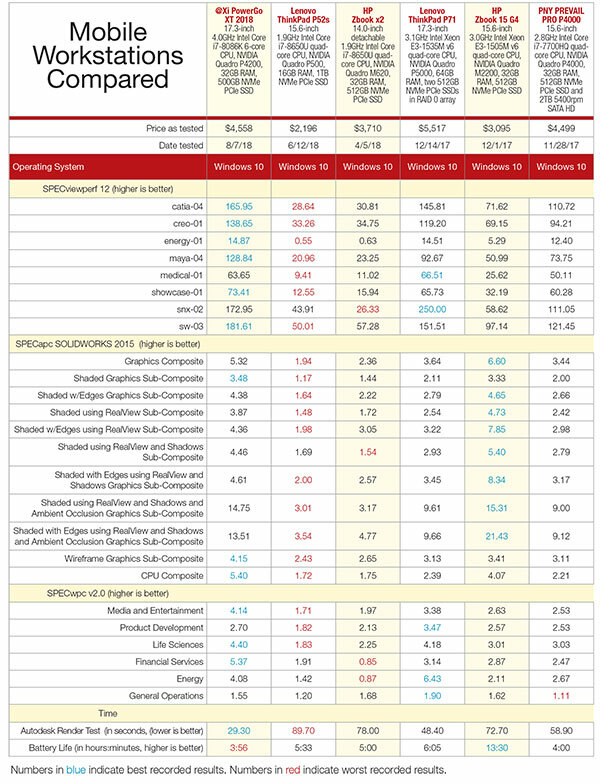 Price/performance chart based on SPECwpc Product Development benchmark. With a system this large, you would expect there to be lots of storage options, and indeed @Xi offers 24 choices of primary drives, including 2.5-inch SATA drives of up to 2TB and solid state drives ranging from 500GB to 4TB. Our evaluation unit came with a 500GB solid state NVMe Samsung 970 EVO 2 PCIe drive, which added $179. The system also supports a second 2.5-inch drive, chosen from a similar list of available drives. 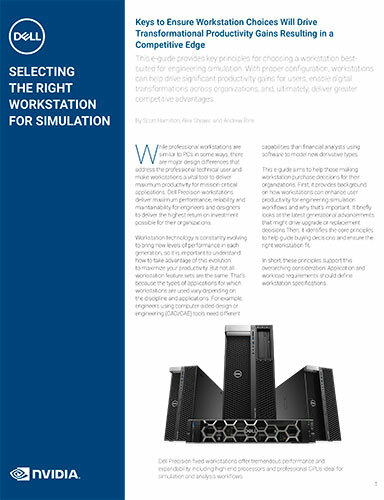 If you opt for two identical drives, you can also configure them in a RAID array. The Xi PowerGo XT also supports up to two M.2 SSDs, with RAID capability. All Xi PowerGo XT systems include built-in gigabit Ethernet with WiFi and Bluetooth, although you can upgrade from dual band wireless-AC 9260 to wireless-AC 1550 for $29. Systems destined for use in restricted areas can be ordered without wireless, Bluetooth or webcams. Because the system is VR-ready, @Xi also offers the HTC Vive VR headset as an add-on. A non-removable 8-cell lithium-ion battery comes standard and kept our evaluation unit running for nearly 4 hours before shutting down. Throughout our tests, the Xi PowerGo XT remained cool and quiet, averaging just 35dB at rest (compared to 29dB ambient background noise), climbing to 52dB under compute loads (equivalent to office conversation). With its fast CPU and high-end NVIDIA graphics, we expected the Xi PowerGo XT to deliver great performance, but the results still surprised us. 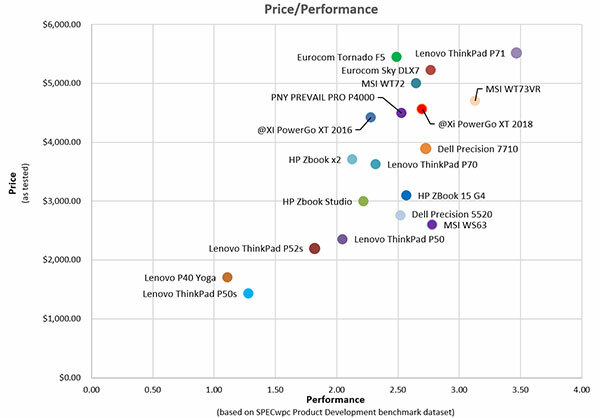 On the SPECviewperf test, which looks exclusively at graphic performance, the Xi PowerGo XT delivered the best results we have ever recorded for a mobile workstation on almost every dataset, approaching and sometimes even beating the performance of many desktop systems. While its performance on the SPECapc SolidWorks test did not set records, the numbers we recorded for the @Xi mobile workstation were again near the top among both mobile and desktop workstations. On our AutoCAD rendering test, which clearly shows the advantage of fast CPUs with multiple cores, the Xi PowerGo XT mobile workstation averaged just 29.3 seconds to complete our test rendering, faster than any other mobile workstation we have ever tested and just 5 seconds behind the Xi MTower PCIe workstation we recently reviewed. We also ran the SPECwpc workstation performance benchmarks. Here again, the Xi PowerGo XT outperformed every other mobile workstation we have ever tested, turning in record-setting results on nearly every component of this very demanding test. Although the base configuration comes with Windows 10 Home, our system included Windows 10 Professional 64-bit, which added $59. Like many other system integrators, the standard @Xi warranty only covers the Xi PowerGo XT for 1-year, with express advance parts replacement and lifetime tech support. Two- and three-year warranties are also available, and our total price of $4,558 includes an additional $279 for the three-year warranty (the standard coverage for workstations from most major OEMs). Like its predecessor, the Xi PowerGo XT is meant to be a desktop replacement. It delivers performance comparable with a high-end desktop workstation, at a cost $500 higher than the Xi MTower PCIe workstation we recently reviewed. Clearly, the Xi PowerGo XT is likely to appeal to a small set of users for whom portability trumps all other concerns. For them, the Xi PowerGo XT delivers the goods.